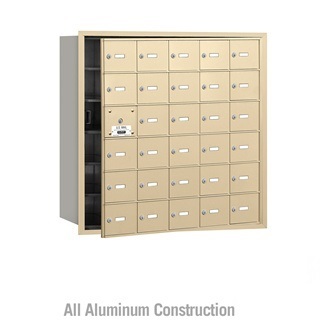 3600 series horizontal mailboxes are built from all aluminum extrusions and materials. 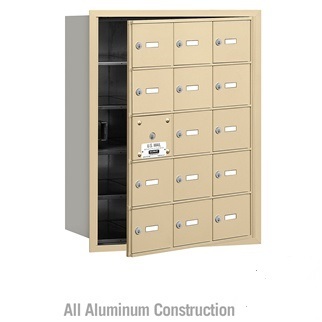 Front loading modules are simple to install and give a finished look when recessed into a wall opening. (+$55.00) Custom engraved placards are self-adhesive and measure 2"W x 0.625"H x 0.25"D that can be custom engraved as you specify. 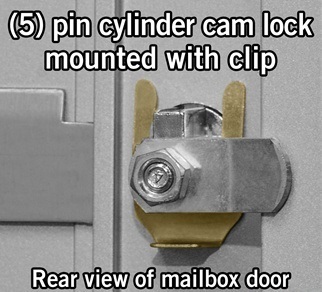 (STANDARD) Front loading horizontal mailboxes requires one door to be reserved for master access. 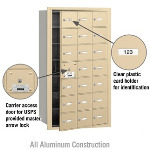 (NO ADDITIONAL CHARGE) Rear loading horizontal mailboxes are accessed through the back of the cabinet for master access, therefore all door compartments are usable. Units include a removable rear cover.